Seven hits in 10 years is a testimony of her passion towards acting, but Alia Bhatt says her life does not revolve around the fate of a film.The 26-year-old star says with age she has realised it is important to be detached from both success and failure and give priority to relationships in her life.”I’m very passionate about acting, filmmaking and this whole world. But it is still a part of my life, it is not my life. I have realised this now that at the end of the day my family, my relationships and my loved ones are my priority. Alia says performing in front of the camera satisfies her creative appetite and box office numbers do not bother her.”Nobody wants to fail. But what is important for me is to feel satisfied with the process of filmmaking and then leaving the decision to the world. Then you just have to live with it, deal with it and learn from it.” From playing a child sexual abuse victim in “Highway” to essaying the role of a spy in “Raazi”, Alia’s choices have surprised both audiences and critics. She, however, says her aim is to not “shock” the viewers but challenge herself instead. “Surprising people with my choices is being manipulative. I just believe in challenging myself. The reasoning will be wrong if I am trying to bring a shock value with my choices. The reason for me to choose a film is the story,” she says. 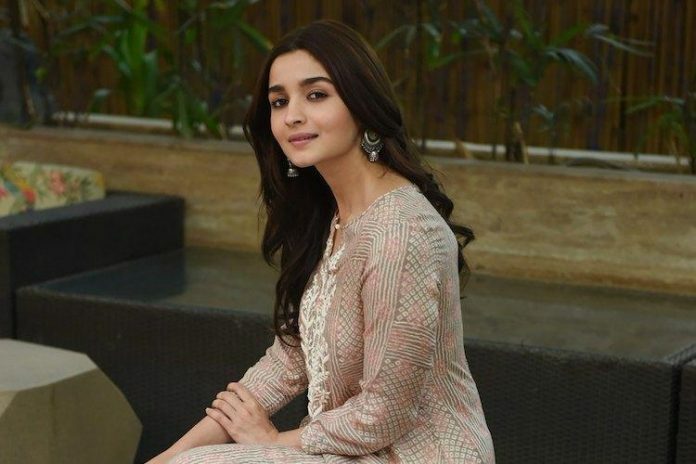 Alia will next be seen in “Kalank”, which releases Wednesday.The actor features opposite Varun Dhawan, Sonakshi Sinha, Aditya Roy Kapoor, Sanjay Dutt and Madhuri Dixit Nene in the film produced by Dharma Productions.She says the film is important for her because it is her most high budget project till date.